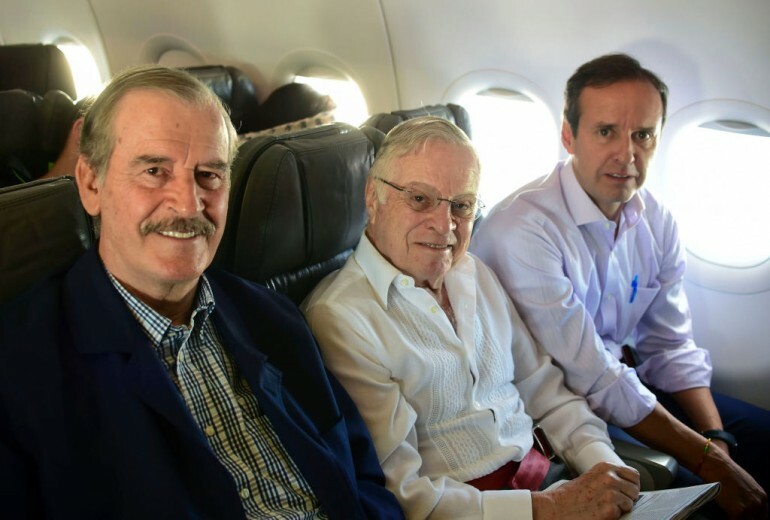 Venezuelan Foreign Minister Samuel Moncada informed that Former Mexican President Vicente Fox will not have access to Venezuela and declared him “A Persona Non Grata" or "person not appreciated." The decision was made since, according to him, Fox made negative comments of the government during the poll conducted on Sunday, July 16, in which 95% of Venezuelans voted against Nicolas Maduro's plans to change the Nation’s Constitution. “He will not come here anymore because of his perverse character. As a prophylactic measure, our duty is to protect our people from undesirable agents. That is why we have declared him a person not appreciated," he said according to Excelsior. "As a foreign minister of the Bolivarian Republic of Venezuela, I declare Mr. Vicente Fox persona non grata. He has abused the hospitality of our people by offending us. Mr. Fox came to Venezuela after being paid to promote violence and interference of foreign states," Moncada wrote on his Twitter account. "As a preemptive measure for the protection of our people, Mr. Fox will not be able to come back to Venezuela ever," Moncada added. The Venezuelan minister of foreign affairs added that Fox had already left Venezuela. Moncada said that the government accepted that five Latin American voters were observers of the plebiscite against the Constituent Assembly, but they simply "set up their circus," exalting that Fox "as a foreigner, has nothing to say here." Among the presidents who attended along with Fox were the former President of Colombia, Andrés Pastrana; Bolivia's Jorge Quiroga, and Costa Rica's Laura Chinchilla and Miguel Ángel Rodríguez. With this serious form of censure applied to Fox, he won't be able to go back to Venezuela until the country's government removes the measure. During the poll, Fox tweeted "Giving way to the triumph of freedom in Venezuela," posing nex to voters with a big smile and his thumbs up. 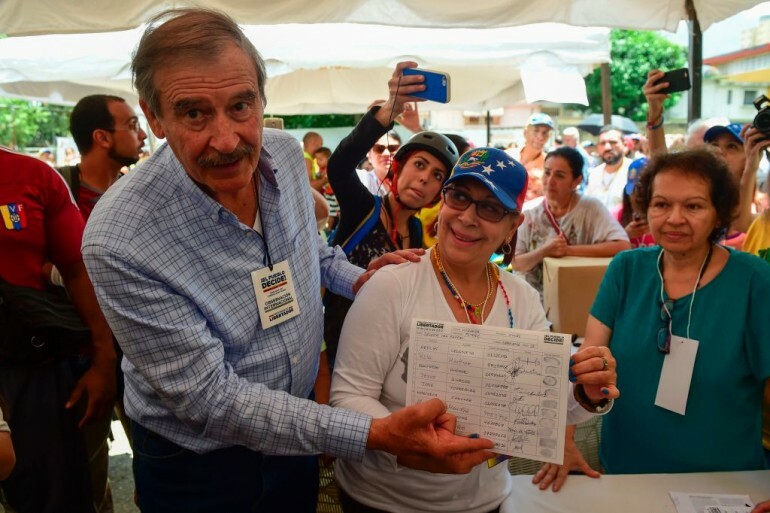 After Moncada anounced Vicente Fox was an unwelcome person, the Mexican took again his Twitter account and wrote: "It's clear, we are NOT a banana republic," referring to Venezuela as a politically unstable country. "Mexico is not for deceit and false prophets. We don't want Castros, Maduros, Chávez." About 7.2 million Venezuelans participated in the elections organized by the opposition in rejection of the Constituent Assembly. Venezuelans rejection to President Nicolas Maduro’s plan to rewrite the Constitution of the country was imminent, and according to Cecilia García Arocha, rector of the Central University of Venezuela, 7,186,170 votes were in favor of the opposition.